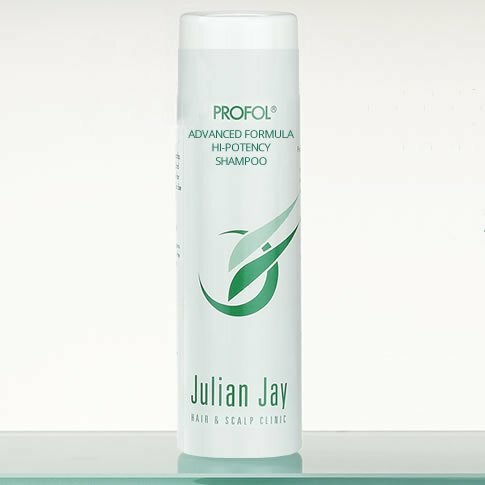 This is the new stronger alternative to Profol Original Formula Hair Loss Shampoo. The high potency of this formula is designed to kick start slow blood supply to the scalp caused by harmful DHT. Its formulation retains all the features of Profol Original but has far greater power to really get things moving as fast as possible. This special natural organic formula shampoo is designed to help stimulate the blood supply to the scalp. During use and for a while after application, you will notice that your scalp will redden and will feel warm, tingly and slightly sensitive, your proof that the formula is helping to accelerate the vital blood supply to the hair follicles. Daily use is recommended for optimum results. Used in conjunction with Profol Advanced Formula High Potency Lotion Spray, you have a powerful twin force to help solve your problem. IMPORTANT: Continued use will maintain healthy scalp and hair growth. The most effective scalp irritation relief for dandruff, dry, itchy, sore and flaky scalp conditions. Long term use is highly beneficial and will not create any dependency on its ingredients. The hair and scalp conditioning properties of this treatment are highly effective, helping to relieve the most sore, flaky scalp conditions. Directions: Shake well, wet hair thoroughly. Squeeze a small amount of Scalp Irritation treatment into palms, rub hands together and massage evenly into hair and scalp. Rinse well and repeat. Leave 2nd application on for 1 – 3 minutes for maximum therapeutic action. Can be used daily like a shampoo. This is the new stronger alternative to Profol Original Formula Hair Loss Lotion Spray. Profol Advanced Formula High Potency Lotion Spray is designed to kick start slow blood supply to the scalp. This incredibly effective formula helps reverse the harmful effects of Dihydrotestosterone ( DHT ) and restores blood supply to the hair follicles. This special natural organic formula lotion is designed to help stimulate the blood supply to the scalp. After application you will notice mild reddening and a warm, tingly, slightly sensitive sensation to applied area, your proof that the formula is helping to accelerate the vital blood supply to the hair follicles. 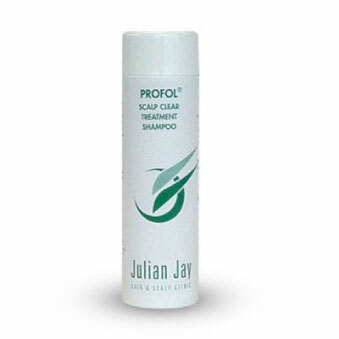 For best results use after shampooing with any of the Profol organic hair and scalp treatment range. Daily use is recommended for optimum benefit. IMPORTANT: Continued use will maintain healthy scalp and hair growth. Profol Advanced Formula High Potency Lotion Spray is also suitable for use after using Profol Scalp Clear Dandruff and itchy scalp treatment shampoo. The added vitamins and nutrients combine to give total strength shine and manageability to even the most damaged hair. This conditioner is lightweight and non-greasy and is formulated with added sunscreen to protect colour and condition. Pro-Active is compatible for use with all the Profol range of shampoos and treatments. Pro-Active instant hair conditioning treatment is tomorrows conditioner today.